Dave’s Sweet Tooth Toffee is handmade in small batches in Michigan. Made from fresh, real ingredients like butter, sugar, milk chocolate, and hand sliced almonds, each batch of Dave’s Sweet Tooth Toffee is prepared with love and tastes like homemade. Based on a toffee recipe from his father, Andrew Chmielewski created a business based on his father’s hobby, even naming it after his dad, Dave, a retired firefighter. I was sent five flavors of delicious handmade toffee to review: Dark Chocolate Cherry, Coffee Toffee, Pumpkin Spice, Milk Chocolate, and Dark Chocolate. Every single flavor is delicious. Dark Chocolate Cherry: Take the sweet of the dark chocolate toffee, add in the chewy tartness of the cherry, and it makes your taste buds happy. Coffee Toffee: I don’t drink coffee, and the Coffee Toffee is amazing—just the right amount of coffee enhancing the chocolate flavor. Pumpkin Spice: October’s Flavor of the Month, it has a perfect balance of spices found in fall treats—cinnamon, nutmeg, ginger, and allspice. Great accompaniment for your Fall beverages. Milk Chocolate: A classic flavor that doesn’t disappoint. You’ll want to pass this off as your own. Dark Chocolate: Rich and decadent, this is my personal favorite. I did not share this bag with the family. It’s that good! The texture of Dave’s Sweet Tooth Toffee is slightly softer than the hard toffee you may be used to eating. It’s still crisp, but you won’t feel like you’re going to break a tooth on it. 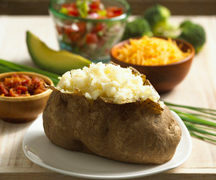 Tastes fresh and just like homemade without standing over the stove stirring for a long time. 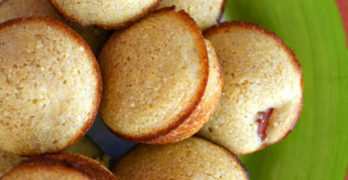 The bits of almonds in each bite make it different than most on the market. I love the thickness of the pieces. The toffee is naturally gluten-free, certified Kosher-Dairy, all natural ingredients, no artificial flavors, and no preservatives. They recommend storing in the refrigerator after opening. It does contain nuts. It’s sold in pouches and jars with a variety of flavors and ordering options. 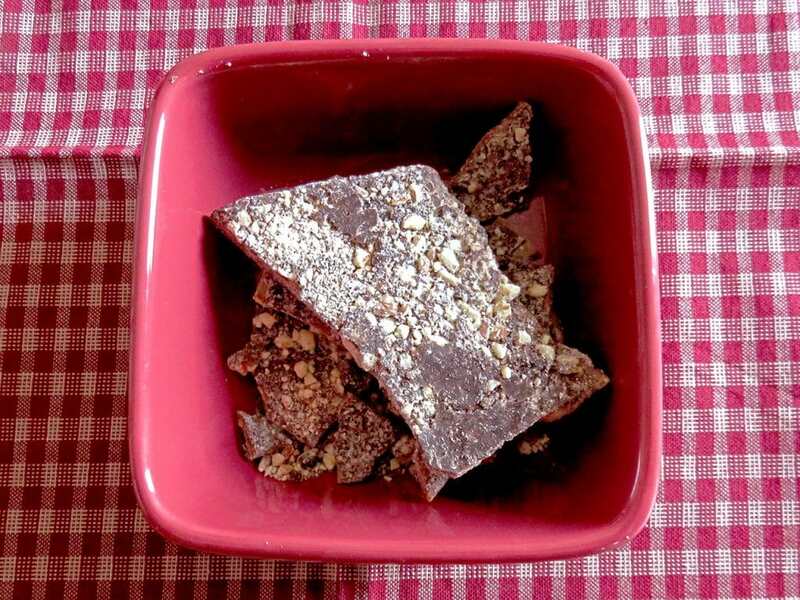 Dave’s Sweet Tooth Toffee is perfect as a snack at home or for gifting. A delightful treat to bring you great pleasure while savoring the variety of flavors, and always: Hand Made, Homemade, Small Batch Goodness. Visit www.davessweettooth.com to learn more and shop the variety of toffee available in their online toffee store. They also have several toffee gift boxes that are ideal for holiday gifting. 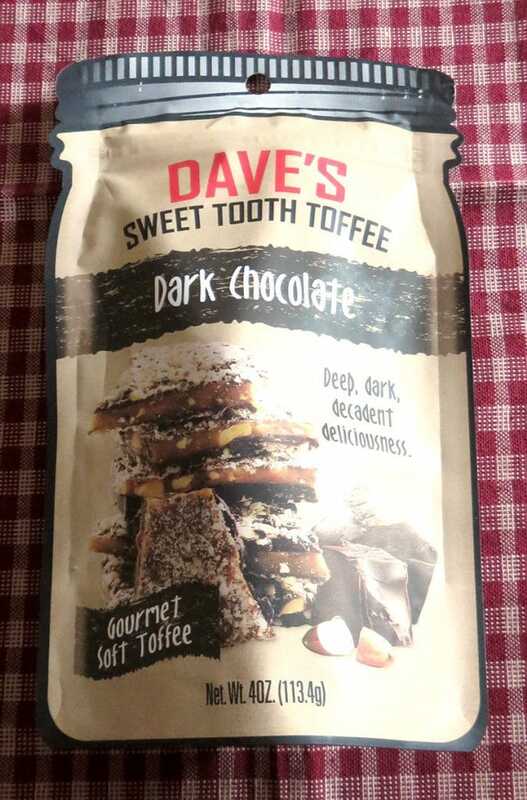 Select Dave’s Sweet Tooth Toffee is also on sale on Amazon. 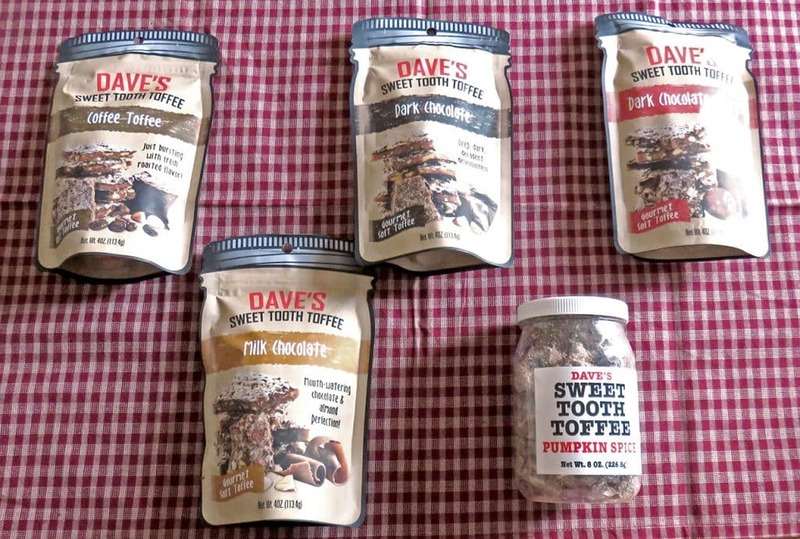 Which flavor of Dave’s Sweet Tooth Toffee do you want to try the most? I like that it’s a soft toffee as I’m not a huge fan of hard toffee. So many flavors to choose from too!